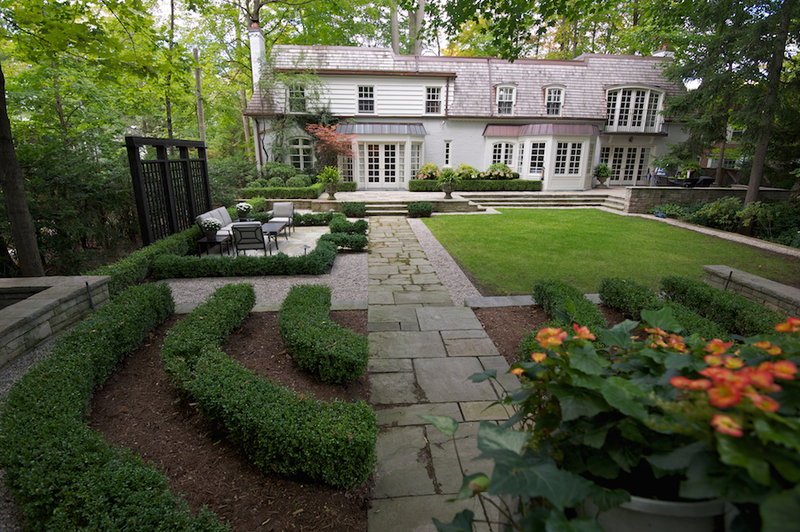 These homeowners had a simple request: to sit in their beautiful garden. 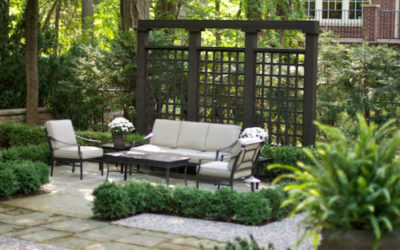 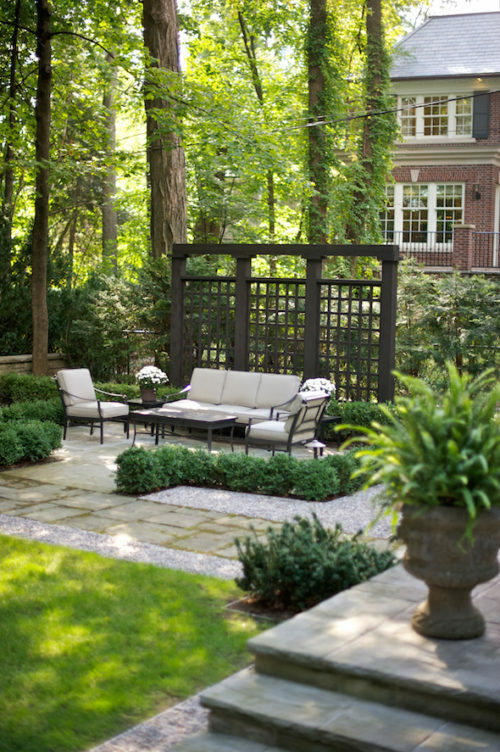 This new seating area is truly a “living room” — it allows them to be surrounded by greenery. We created a natural stone patio to match an existing path, built custom privacy screens and added landscape lighting, boxwood plantings and irrigation.